SSuccessfully hosting the 2010 FIFA World Cup™ was a 6 year long journey. . Hearteningly, SA defied all global sceptics who raised alarms before the event about the readiness of the country’s infrastructure to deliver on an event of this magnitude. From Cape Town’s stunningly located Green Point Stadium to the daring of Durban’s Moses Mabhida arch and the scale of the award-winning Soccer City, standing alone on the outskirts of Soweto - each of the 10 stadiums, roaring with the ubiquitous honk of the vuvuzela (plastic horn), provided a fitting and world-class stage for the first African football world cup. 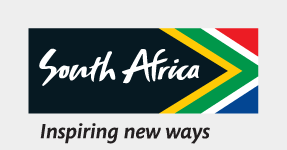 SSouth Africa attracted around 370 000 visitors during the 2010 FIFA World Cup™. Standing boldly and beautifully in the sprawling township of Soweto, the calabash-shaped FNB Stadium has played host to many momentous occasions in the country’s history. As the largest venue in South Africa, it was only fitting that this iconic 87 436-seater staged the first and last matches of the 2010 FIFA World Cup™, the 1996 African Cup of Nations final, Nelson Mandela’s memorial service and several other high profile and sporting events. In case you’re still not clear how massive this stadium actually is, Lady Gaga has performed here. After hosting the historic 1995 Rugby World Cup, Ellis Park Stadium, which boasts a total capacity of 60 000 people, has become one of the country’s go-to stadia for large-scale events, including music concerts and international football matches. One of which was the FIFA Confederations Cup final in 2009 – a year before hosting a number of international matches during the 2010 FIFA World Cup™. Sponsorships have come and gone, but Pretoria’s landmark Loftus Versfeld Stadium has resisted all attempts at name changes, and stubbornly remains good old Loftus. Some of the world’s entertainment greats, from Pavarotti to UB40, and Celine Dion to Robbie Williams, have graced the pitch, belting spectacular concerts out into the night, but first and foremost, Loftus is an iconic sporting ground. The sweeping silhouette of Cape Town Stadium has forever changed the face of the surrounding Green Point Common. Enveloped by a façade of woven fibreglass coated with Teflon, this sporting ground resembles a rose-coloured bowl floating on a base when lit up at night. Dubbed ‘the diva of Cape Town’ by architects, Cape Town Stadium has an incredible ability to reflect the constantly changing moods of the city in varying weather conditions. The design and construction of the roof is unique. Its basic structure resembles a bicycle wheel, open in the middle. It’s hardly any surprise that this spectacular piece won the hearts of top FIFA officials. The term 'sporting cathedral' fits Durban’s Moses Mabhida Stadium to perfection. Much more than just a sporting facility, Moses Mabhida boasts quite a profound personality made visible by its grand arch. Measuring 350m long and 106m high the arch is symbolic of a diverse nation, unified in its love of sport. The two legs of the arch on the southern side of the stadium join together on the northern side, representing a once-divided people now unified. Set on the shores of the North End Lake in Port Elizabeth, Nelson Mandela Bay Stadium is one of very few sporting grounds in the world that can lay claim to being specifically designed to stand next to a huge lake, offering discerning visitors spectacular views of the lake on one side and the Bay on the other side. With the largest number of registered football players in South Africa and the country’s second largest football fan base (after Durban), Limpopo’s passion for the beautiful game was rewarded with a new 2010 FIFA World Cup stadium. The 46 000-seat Peter Mokaba Stadium, named after anti-apartheid activist, Peter Mokaba, is located in the province’s capital of Polokwane. Mpumalanga’s Mbombela (formerly Nelspruit), has always had an enviable reputation as a place to go game spotting. Now the city boasts a game-spotting venue of the football kind, the Mbombela Stadium. Translated from the siSwati language, Mbombela means 'many people together in a small place' – an apt choice for a venue that seated more than 120 000 spectators from all corners of the globe during four opening round matches of the 2010 FIFA World Cup. Free State Stadium, now called Toyota Stadium, is an old hand at hosting landmark matches. Situated in the middle of the country, it's proved a convenient central location for sports fans to gather. It has been used for major tournaments such as the Rugby World Cup in 1995 and the African Cup of Nations in 1996. Refurbished for the 2010 FIFA World Cup at a cost of R241-million, improvements to the Free State Stadium in Bloemfontein have included the addition of a second tier to the western pavilion grandstand, increasing the seating capacity to 40 000. In 2010, Rustenburg – a sweet spot at the foot of the scenic Magaliesburg Mountains - witnessed excitement as never before when visitors flocked in to attend six 2010 FIFA World Cup matches at the Royal Bafokeng Stadium. Following a massive facelift to the tune of R360-million, this 42 000-seater proved its mettle when it hosted some of the 2009 FIFA Confederations Cup games.